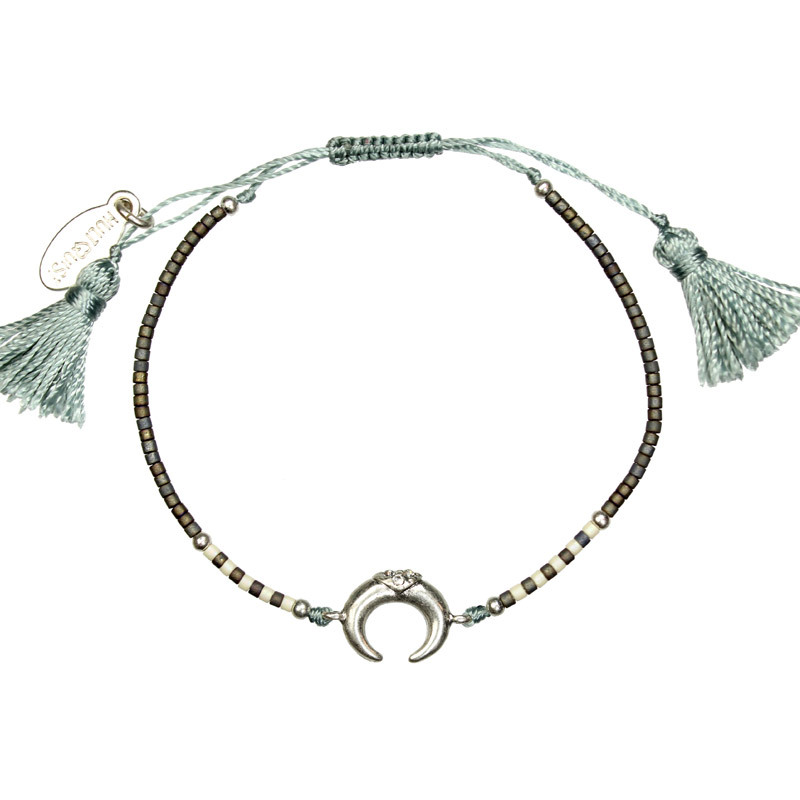 You’ll love wearing this beautiful Hultquist Jewellery Soul Safari Silver Horn Bracelet with Crystals everyday. 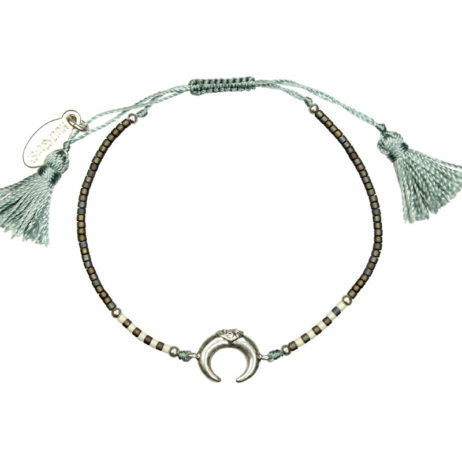 From Hultquist’s brand new SS17 Soul Safari Collection, this gorgeous macrame bead bracelet features a blend of blue/grey Japanese glass pearls and silver beads, with a silver plated double horn charm detailed with a central cluster of crystals and beautifully finished with soft cotton tassels. 1.3cm wide by 1cm long double horn cahrm. This Hultquist Jewellery Soul Safari Silver Horn Bracelet with Crystals arrives from Lizzielane presented in our official Hultquist Jewellery gift packaging. Hultquist-Copenhagen was established in 1980 by Anne Hultquist. The basic concept is creating unique high quality fashion jewellery inspired by the wonderful mixture of different cultures from past, present and future. Anne Hultquist and her team continuously design an extensive range of feminine and bohemian fashion jewellery influenced by the classical Scandinavian look expressing individualism and fashion awareness. All Hultquist-Copenhagen jewellery is plated with 925 sterling silver and 16 to 22 carat gold. The base is metal alloy and guaranteed nickel free. This base is coated with copper and palladium which gives the plating a better finish and life. All stones used are selected Swarovski crystal, quartz, fresh-water pearls or Czech glass beads. Hultquist Jewellery, Hultquist Bracelets, Bead Bracelets, Bracelets, Silver Bangles. 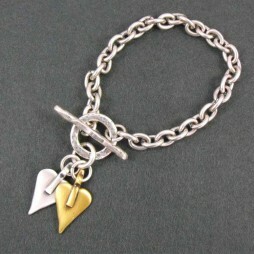 Make buying gifts easy with the Danon Silver And Bronze Chunky Heart Bracelet by Danon Jewellery from Lizzielane. 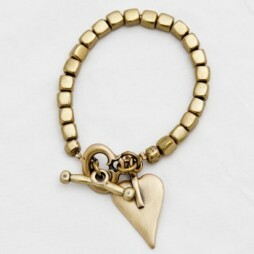 The Danon Jewellery Bronze Cube Heart Bracelet is timeless classic. 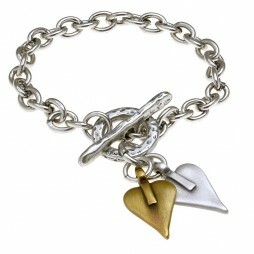 Both wearable and elegant with a pull through T-bar fastening and bronze heart on the very popular cube style bracelet. Delighted with price, ease of website, product and very efficient service.I certainly will be shopping & recommending this website.